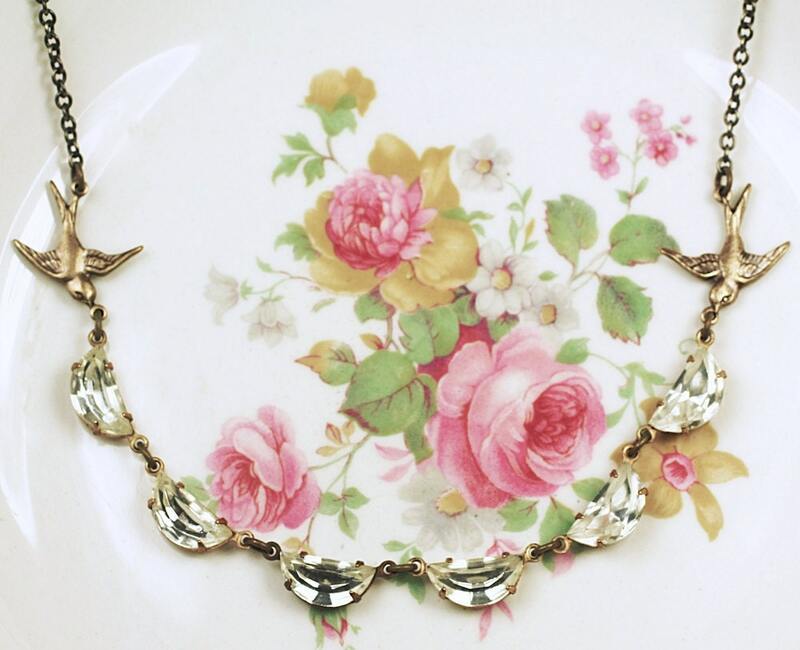 Vintage style scalloped bird jewel bridal necklace. Vintage glass jewels have been prong set in brass settings. The jewels measures 12x6mm (about 1/2 inch wide). 16 inches long, any length is available upon request for no additional charge, just add a note when checking out!